On the 28th October 2016 we will be celebrating 30 years in business. 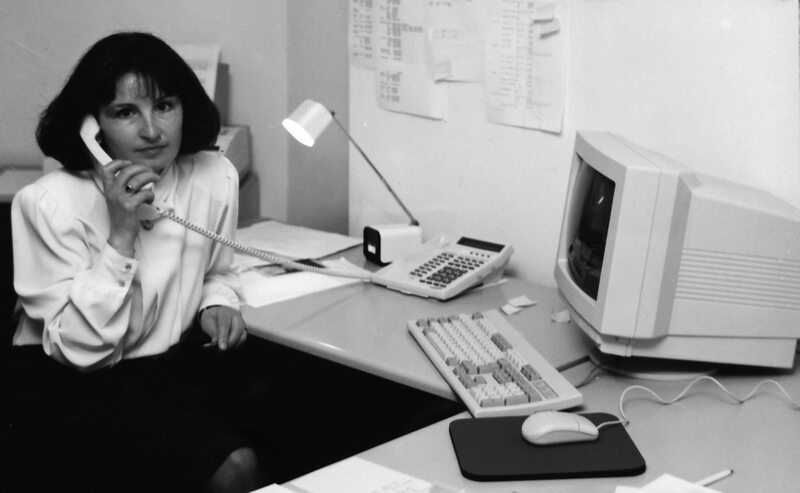 This is what our office looked like back in 1986. We have come a long way since then, and through two recessions at that! Access Translations began with just 2 languages (Spanish & English). In Ireland in 1986 there was not the same demand for translation or interpreting as there is today. Most of our work involved Spanish fisheries in the Irish Sea. Over the next few years our language base increased to 3 languages (French, Spanish & English). These were the most common languages required in the 1980s. By 1996 our language base had grown to 60. Since 2006, with an increasing demand for Eastern European and African Languages, our language base had reached over 150 and is still growing. We would like to take this opportunity to thank all our valued team at Access Translations, including our interpreters and translators, for helping us reach this milestone. We would also like to thank our loyal clients and for your continued support over the last 30 years.